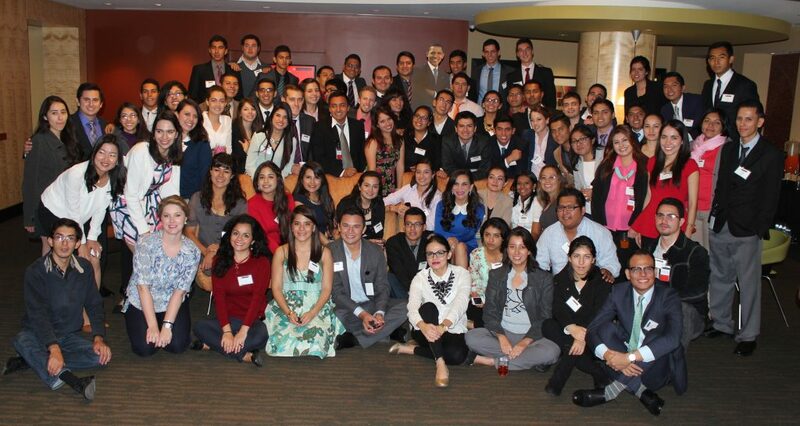 For this week I will share with you a friend’s experiences who is also part of the Mexico 100 program. Her name is Gabriela and I met her when we arrived to Washington DC. She is a really nice person and I hope you like her story. Hi, my name Is Gabriela Rosales and I’m from Torreon, Coahuila. I have been taking English classes since I was in 1st grade. I am part of the Mexico 100 program and I am doing my internship at CommuniKids. I want to be a teacher, so I love my internship because it is related to what I want to be in the future. I’ve been here in Washington DC for almost one month. I have noticed several changes, one of them, is that I improved my English. Also, I have learned a lot about the American culture and the different traditions in the United States. Washington is a very impressive city because is the most powerful capital of the world, and the architecture and historic monuments are very beautiful. 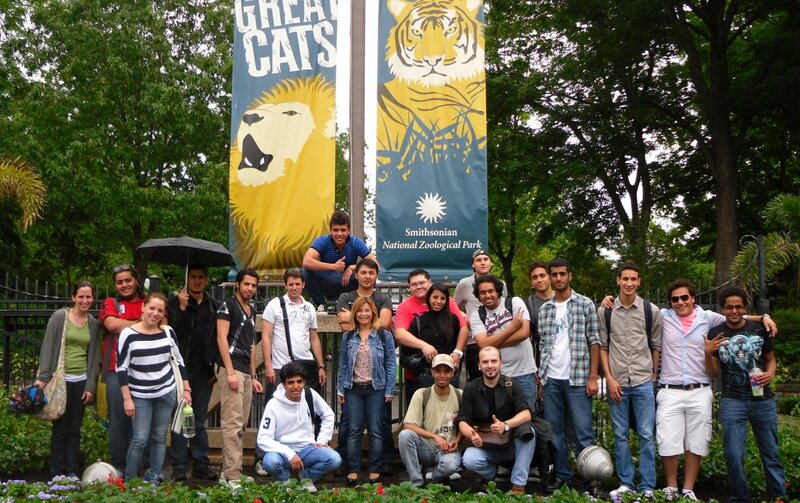 I visited the National Mall, the Holocaust Museum, some clubs and also the zoo. There are many places left to visit, but I am looking forward to visit all of the touristic places. We all know that learning a new language can be tough, especially when you are adapting to living in a new country. With so much to do in the Washington DC area, it can be challenging to focus on the main purpose of studying here – to learn English! With this in mind, we asked our talented and diverse set of teachers for their best advice on learning a language. Keep a diary of new words you learn. Also be sure to write down words you hear that you might not know, and then go back and look up the definitions later! By hearing as well as writing, and then looking up the definition, you will be more likely to remember these new words for future use! Watch movies and TV shows with English subtitles. You’ll be able to hear and see the words being spoken! Sometimes, watching the way people talk and the way their mouth moves can help your pronunciation, as different languages use different facial movements and muscles for pronunciation. Read news articles aloud every day. Look up the words you don’t know or have trouble pronouncing. After doing this, practice speaking by summarizing what you’ve read! Make friends who are native English speakers! When studying abroad at a language school, it is often easy to make friends with people who speak the same language as you or come from the same country. Forcing yourself to speak the language you are trying to learn, even when you might be slightly uncomfortable, is truly one of the best ways to learn a new language quickly! Read for pleasure! Regular reading in your free time can do a lot to improve your English language skills. We’re not just talking reading comprehension here – but also speaking and writing as well. Choose a topic or a subject that you love when finding a book! This will make the learning process enjoyable. Practice, practice, practice. Take your English speaking skills and go out into the real world to practice! Go to a restaurant and order in English. Participate in student activities offered here at Inlingua and go out to museums!.There are a multitude of ways in which you can use the English you learn in the classroom in a practical setting. Find a partner! By finding a friend who is willing to practice English with you, you have an instant ally in your language learning quest. Get together at a coffee shop, order coffee (in English, of course! ), and sit down to practice speaking English and to review and quiz each other on new vocabulary words. Sometimes having some support can mean all the difference! Listen to the radio while doing basic chores or tasks. Turn on a radio talk show while doing your laundry, for example. Just listening to the way the language sounds as well as hearing new vocabulary can help improve your overall language abilities! The more you listen to a language, the more familiar you become with it and the easier it is to speak! Talk to yourself in English. While this might sound strange, talking to yourself in the language you are trying to learn can truly help you become accustomed to and more comfortable with speaking a new language – especially if you do not get to practice using it all the time. It will keep your vocabulary strong as well as giving you an extra boost of confidence for the next time you use your English! Don’t stress! Many language learners get nervous or anxious when using their English initially. Most people are more than happy to help English-language learners by correcting them and they are usually very patient! Don’t worry about mistakes, relax, and just use your English as much as you can. You’ll learn faster than you think! By using these ten language-learning tips, you’ll be on your way to becoming a fluent English speaker in no time! My name is Enrique Aguirre and I am from Mexico. I live in Saltillo, Coahuila and I’m a full time student in Universidad Tecnologica de Coahuila. I am studying Mechatronics and I like my career very much. I have been studying English since I was in kindergarten because I went to the American School of Saltillo. When I started studying in the university, I wanted to go to another country to continue my studies because since I was a little boy, I always wanted to live by myself at least for one semester. It was the end of the semester and a teacher came to our classroom and talked about this scholarship to go to Washington DC for 13 weeks called, Mexico 100. I was very excited to participate in this, so I started applying to win the scholarship. First of all, we had to answer some questions and do a couple of tests to see if we were candidates for this program. Then we picked a topic and did a project of this topic, I choose The Hunger and Malnutrition. My project was focused mostly to help the homeless and fight the hunger and at the same time recycle and help the environment. After two weeks of doing the tests and the project, they announced the winners to go to Washington DC, there were only 100 places for all Mexico, so it was hard to be picked, but I trusted in myself and in my project and knew that I was going to win this. When they told me I was one of the winners of this scholarship I was very happy and excited, and all I wanted is to get to Washington DC as soon as possible, but I still had to wait for five weeks and had to attend to normal classes at my school. When I arrive to Washington DC I noticed that everything was very different to Mexico, I’ve been before at the United States, but only to the border and it’s very different than the places I’ve visited. The apartment where I am staying is very nice and huge, it has 2 rooms, a living room and a kitchen, and I live there with other three persons that are in the Mexico 100 program too. Since I got to Washington DC I have no time to go for a tour and get to know places because I’m always busy doing homework and projects for the school, But the good news is that I only have to assist to The Washington Center on Fridays, but on weekdays I go to my internship. I’m doing my internship in Inlingua, a very nice institution that gives English courses for international students and I’m going to be working from Monday to Thursday till January. I like working in Inlingua because you get to know people from different countries and you can learn some of their traditions. The people I work with are very nice and helpful, and I expect to learn a lot from my internship in Inlingua and become a great leader, because after all, the main goal of this scholarship is to create great leaders for Mexico. The main purpose of this blog is that the interns of Mexico 100 program, can publish their experiences and what they have learned since they got to Washington DC. This will help to other students that want to study in another country, take the decision to come to Washington DC to live the real experience of living in the Capital of the United States. Inlingua Washington DC and The Washington Center entered into an agreement whereby Inlingua will provide English language training to the participants of Mexico 100. Designed and administered by The Washington Center for Internships and Academic Seminars, Mexico 100 is funded by the Department of Education of Mexico and the Department of Social Development as part of the 100,000 Strong in the Americas Initiative. Mexico 100 provides technical and academic skills training for professional development to one hundred committed students from public schools in Mexico. These young Mexican leaders will spend one semester in Washington, DC receiving training at The Washington Center’s academic training facility while doing an internship with different participating civil society organizations in the greater Washington DC area. Commencing this October, this program will continue to sponsor one hundred participants for the Spring 2015 semester, with potential for extension for subsequent semesters. Inlingua Washington DC is honored with the opportunity to participate in such an ambitious program by enabling its participants to improve their English language skills as they embark in their professional development journeys. Earlier this year, Inlingua Washington DC, through one of its main agents in Brazil, entered into an agreement to provide English language training in its main campus to hundreds of academically excelling students from the Sao Paulo State Public School System. This fantastic program is being sponsored by Centro Paula Souza, a Sao Paulo State government agency. These two programs allow Inlingua Washington DC to contribute to the academic and professional development of young adults that would otherwise not have access to such a fantastic opportunity. We are certain that the skills acquired by all the participants will better equip their respective countries to become more competitive in the global arena. Human beings strive to be perfect. Perfection is so highly sought after that people oftentimes steer clear of imperfection in all areas of their life. But trying to be perfect when learning another language will lead to failure. Because the key to successfully learning a new language is based upon acceptance, acceptance that mistakes will be made. With each mistake made, and careful attention to revising those mistakes, a foundation is built towards improvement, and ultimately towards achieving fluency. Consider the apprentice baker under the guidance of a seasoned baker. With support and guidance from the seasoned backer, the apprentice baker must make mistakes when trying new recipes before she has succeeded in all of her confectionery creations. The same principles apply to learning a language. At inlingua, we are all inspired by the way in which our students strive to improve from their mistakes, from their willingness to try new things in the classroom, from all the risks that they take. We see how they change as individuals through the mistakes they make. And we are reminded that a mistake, especially when learning language, is just another way to describe great courage. So when a student first says, “I want to study English,” she is taking the first step in the English language journey, and that in and of itself takes a great deal of courage. National Harbor is a great way to escape from all the hustle and bustle of D.C. It’s a lively place to visit, especially during the summer months! There is so much to see in the beautiful, lush, historically-rich region of Northern Virginia. Check out these 52 day trips, pack up a car – or zipcar – and head out of the city for some fun with friends! See here 100 Free things to do DC. 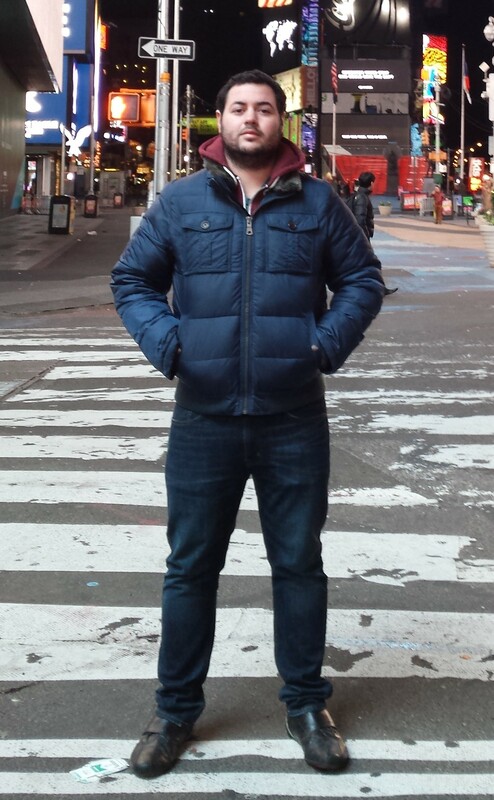 Hugo Mucci Ferreira dos Santos is in ESL level 5 at our English school in Washington DC. He is from Brazil, and wrote about his homestay host mother. Ms. Smith* is my host mother and lives in Alexandria, Washington DC. She seems to be a normal retired woman, but she isn’t sitting around all day in her rocking chair. She likes to do many things, such as cooking, ironing, sewing, and gardening, and lives alone in a house with two floors, a big garden, a garage and a basement. Ms. Smith is seventy, has blue eyes, isn’t very tall and has short white hair. She is an amazing cook, and knows how to make cupcakes, waffles and a special family recipe with pasta and cheese. She has a big and beautiful garden in front of her house, with many flowers such as roses and daisies. On the sides of the house, she has planted corn, raspberries and strawberries. She is also an excellent seamstress, because she makes a lot of clothes and costumes, and does it all, all the time and almost never stops. It’s a very busy life for an elderly person, but she likes it and is happy with it.